The field of mass communications is changing almost as fast as books and journals can record the transition. The age of mass communications has truly arrived -- encompassing a multitude of new media and demanding the integration of both theory and practice in all media. The Bachelor of Arts in Mass Communications allows students to pursue interests in journalism (print, broadcast, or online), media management and marketing, media production (print design, photocommunication, audio/radio, video/television, or online), public relations, and more. 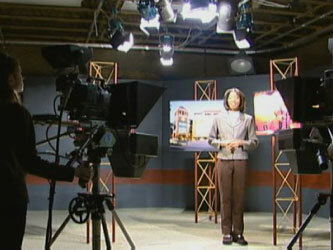 Studies in Mass Communications at the University of Louisiana at Monroe teach not only the industry as it exists today, but also look toward the rapid evolution of the media. In the face of new technologies and channels of communication like computers and the Internet, old distinctions between print and electronic media are diminishing in importance. In the newest media companies, such distinctions are disappearing altogether. The Mass Communications curriculum is designed to equip students with the knowledge and skills necessary to excel in this dynamic new media environment. The Mass Communications program at ULM recognizes the current trend of convergence, or the blurring of lines among traditionally discrete forms of mass communication. Digital technology now provides for the blending of media such as text, voice, music, video, graphics, and other elements to a degree not possible just a few years ago. Delivery systems are also expanding rapidly and now include the Internet, satellite, cable, and telephony, as well as traditional broadcast and print media. The opportunities in Mass Communications are also expanding significantly as a result of these developments. The successful media professional must have not only a strong foundation in these technologies, but also an integrative view of mass communications.